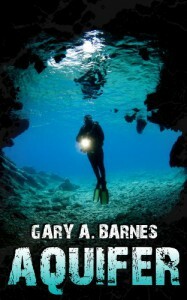 I love the cover for Aquifer by Gary A Barnes. That alone would have had me grabbing this, but add alien alligators…I love a good creature feature and we have one here. I was looking for a Q for my reading challenge and this popped up. An alien alligator? Oh yeah. In the Ozark Mountains, in the 1950s, in the hillbilly town of Ellington, Doc was enjoying the slow pace, after life in the busy city. Life is just what you would think, live off the land, uneducated people, no money, but they lived their life to the fullest. Dr. Thomas Clayton came from there and was back as a herpetologist to do an ecological study. What are the ramifications of pollution on the frog population? Amidst the croaks of the frogs and the song of the cicadas, a blinding flash, a sonic boom, and…we’re off. Tina’s home life is comfy cozy, with all the characters sharing, eating, playing. I remember catching fireflies and putting them in a jar with holes punched in the top. Do you? It’s always fun to read a book that brings back pleasant memories. Makes the book seem real…sorta. If you believe in aliens and mutant creatures. I love how two collegiate city slickers meet the Ozark hillbillies and learn they have more in common that they could have possibly believed. 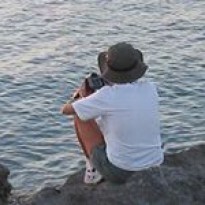 I was freaking when tina and Larry were sitting n the rock at the lagoon. The slow building suspense allowed me to get to know and love the characters. To get the feel of the terror that is coming, feel IT coming now…NOW? I do wonder how many of them will survive. Of course, we gotta have one lizard lover. Don’t hurt ’em. Let’s coexist. Well, maybe they don’t want to. Maybe we are their breakfast, lunch and dinner. MMM…hungry. I love these B type creature features. Plenty of time was spent in world building and character development. It was great to watch them grow and change, as they spend more time together, learning from each other. I knew the ending and loved it anyway. If you are looking for a great alien, creature feature, look no further. We have all the requirements here. All the gory, grisly deaths, mixed with loss, love and romance.